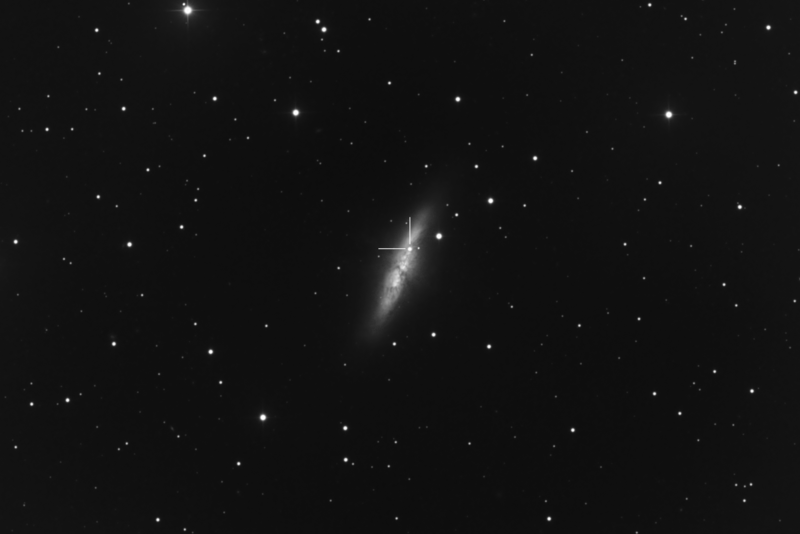 A few days ago, a Type Ia supernova was discovered in Messier 82 (NGC 3034, the Cigar Galaxy). Because of clouds, it took a few days for me to image it. Here’s my first shot of M82 and the supernova. Comparing to other recent photos, it looks like it’s still getting brighter. It’s brightness is expected to increase over at least the next week. Get out and take a look! When doing astrophotography, I’ve always dodged the moon like the plague. Since not imaging when the moon is up severely limits how much shooting I can do, I decided to see what I could do with a full moon high in the sky. I was pleased to find out that as long as you can keep the direct moon light out of the scope and you aren’t imaging close to the moon, you can actually get astrophotos when the moon is up. 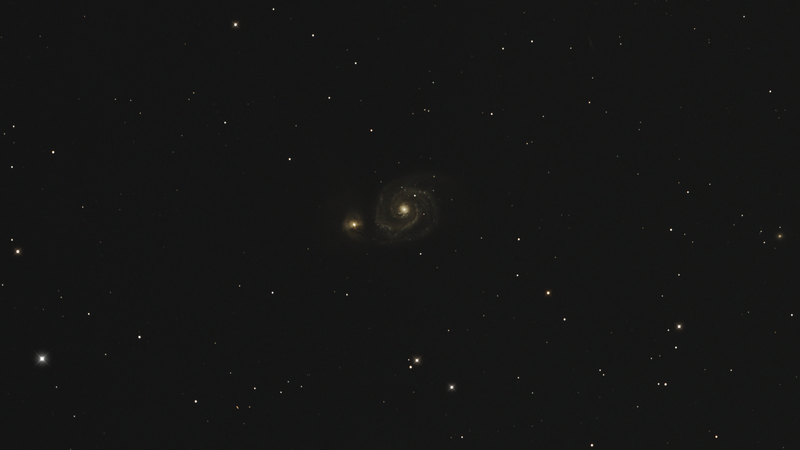 I did an M51 imaging run starting at 2am local time using Telescope 20 at iTelescope.net’s New Mexico Skies observatory. 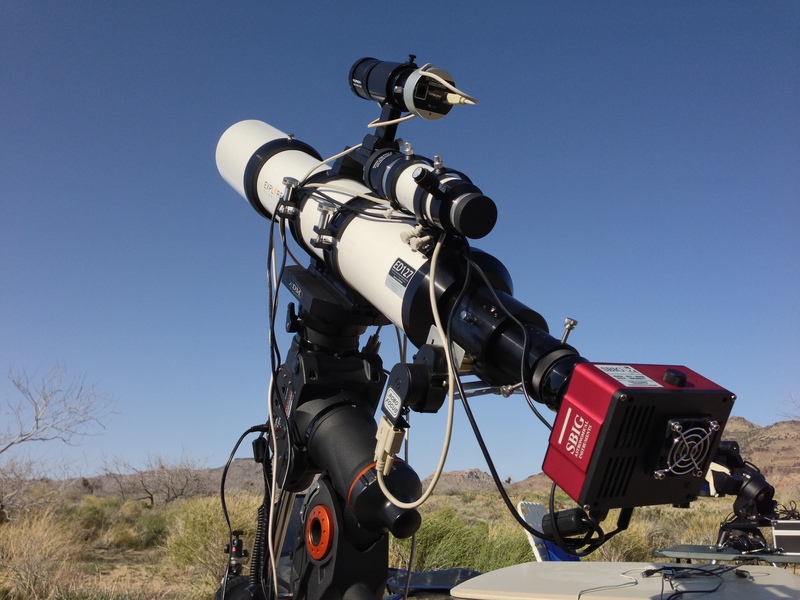 The telescope is a Takahashi FSQ-106 with an SBIG ST-8300C camera. I shot 12x 300second images. The seeing was reported as around 2 arc-sec. I watched a few other people imaging that night and scopes that did not have solid side tubes (like the CDK truss scopes) didn’t do well with the moon. Refractors with dew shields seemed to do fine though. 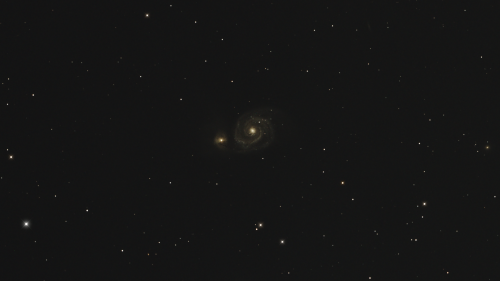 The moon was at about 99% illumination just over 60 degrees away from M51 during my imaging run. Click the photo to see the full sized version. For my first astrophoto on a full moon night, I’m really happy with it. For now, I’ll stick with a “60 degrees off” rule and greatly expand the number of nights I can image. There’s at least one “hmmm” I still have to figure out – how does light pollution impact this? Imaging from in town will likely give completely different results than imaging from a dark sky site. 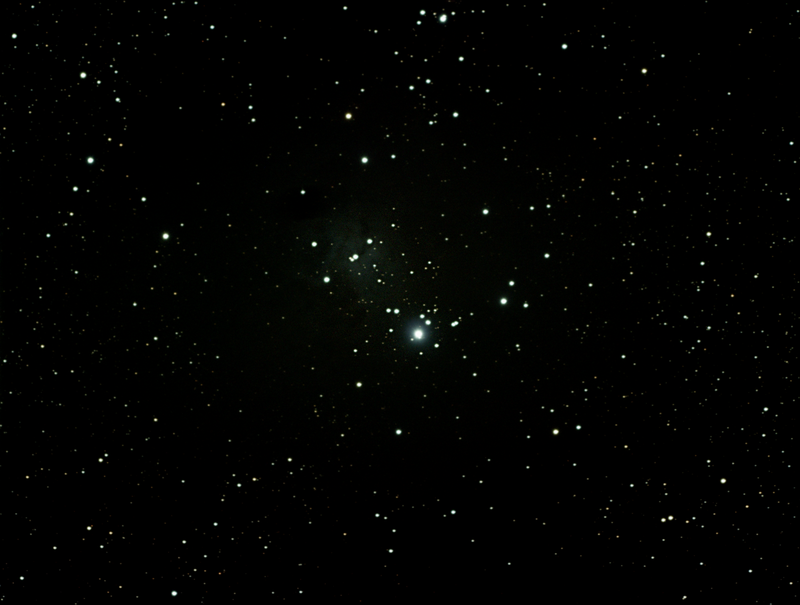 Gotta figure that out… more astrophotography! 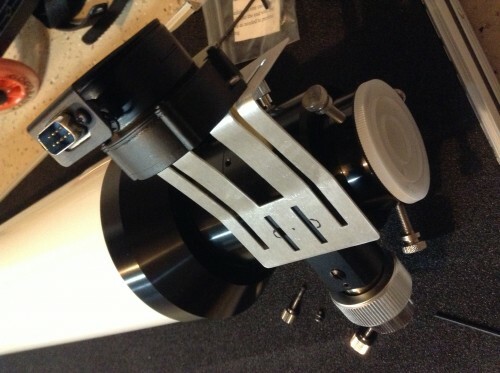 In my last post, Explore Scientific ED127 Robofocus Installation – Part 1, I talked about how I modified (bent) the attachment bracket to align the Robofocus properly with the telescope’s focus knob shaft. 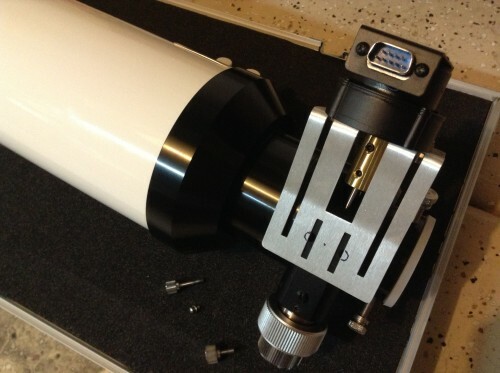 I also talked about a few possible options for attaching the bracket to the telescope’s focuser. After some more research online, I decided to try attaching the Robofocus mounting bracket to the telescope using 3M Command brand double sided tape. I was initially concerned that using double sided tape might allow too much free play in the Robofocus and create unwanted backlash. As it turns out, using the 3M Command brand double sided tape worked great for attaching the Robofocus bracket to the bottom of the focuser. 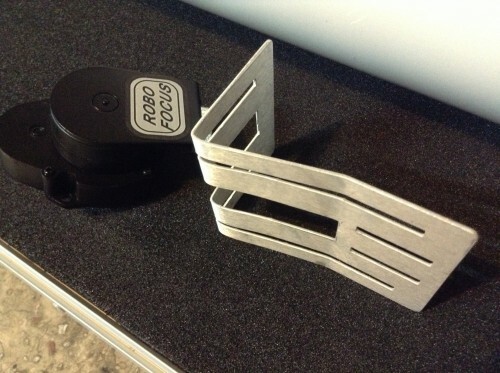 By default, the Robofocus control program has built in backlash control that makes the focuser always approach a resting position from the same direction. I had to reverse the default direction for this setup, but that just required a quick 10 second procedure (instructions are in the Robofocus manual). Just after I finished the Robofocus installation, I went on a dark sky trip to Hole In The Wall Campground in the Mojave National Preserve in southern California. I had to fight 30-60mph winds each night I was there, so I didn’t get much from my imaging. However, the wind was calm for long enough for me to try out a couple focus techniques. I started out using the Robofocus for manually controlled focus (via the hand controller and ASCOM POTH) with Nebulosity’s Fine Focus mode. I was really happy with that until I tried FocusMax with MaximDL. I only have a demo of Maxim, but the capability that FocusMax brings is amazing. So far, the only difference I’ve noticed is that with the ED127′s Crayford focuser it’s possible to bump the extension tube and make it slide in the focuser without the Robofocus rotating. I also noticed a very slight amount of creep over my 4 day dark sky trip. Instead of building a 12+ V-curve model as described in the link above, I just did a few before my final focus. It still worked remarkably (shockingly) well. I haven’t tried FocusMax with CCDSoft, but I plan to soon. CCDSoft was included with my SBIG camera and it reportedly works well with FocusMax too. 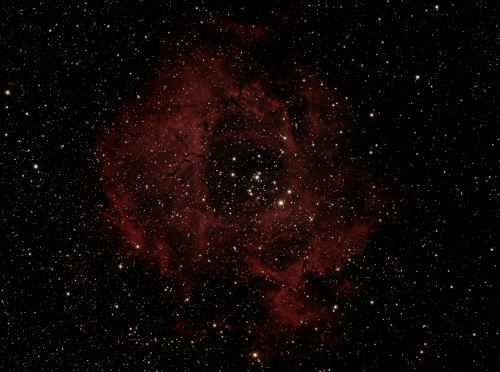 For now, I’m taking my light frames using PHD & Nebulosity. I plan on trying Sequence Generator Pro soon as an alternate to Nebulosity (SGP has plate solving & its own focus routine). After lots of glowing recommendations, I decided to buy a Technical Innovations Robofocus for my Explore Scientific ED127 telescope and its stock Crayford focuser. Together with my astrophotography computer and camera, this should let my scope automatically focus itself with much better accuracy than I ever could. I dug through their website, but didn’t see an Explore Scientific installation example and I couldn’t find one after quite a few online searches either. I sent Technical Innovations an email asking if the Robofocus would fit my scope. They replied back asking for a photo of the bottom of my scope’s focuser and the diameter of the focus knob shaft (it’s 0.158″ on the single-knob side). After sending that info, they told me they could send a Robofocus with brackets that would work. A few days after ordering, my Robofocus showed up. They sent two identical mounting brackets. With probably thousands of possible focusers out there, the Robofocus manual didn’t have specific installation text or photos for my scope. I did a little more searching online and still didn’t find an example of a Robofocus/Explore Scientific ED127 combo. So, I dove in. There doesn’t appear to be a “perfect” place to anchor the mounting bracket on my existing focuser. The best place with existing bolt holes looks like the bottom of the focus knob assembly. I took off the single-knob and slipped the Robofocus into place. A couple of bends later, the once-flat mounting bracket fit flush to the bottom of the focus knob assembly and the Robofocus’ mounting holes. Here’s the bent mounting bracket. Here’s the bracket & Robofocus in place on the scope. After getting a pretty good image of the Orion Nebula from my backyard, I wanted to try some tougher targets. With about half the moon in view and it sitting near Orion, I had to move away from the Milky Way to find a good deep space object to image. I tried the Christmas Tree Cluster first. The result is below. 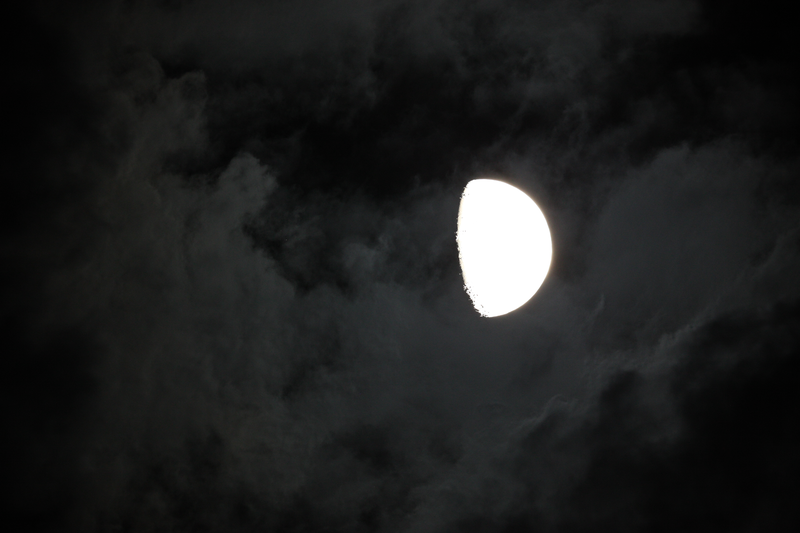 Lesson learned: the sky in my backyard is too bright to image something that dark. Even with lots of data crunching & image stretching, there’s just not much nebula visible. The limits of my backyard. The Christmas Tree Cluster, NGC2264. I tried the Leo Triplet next. 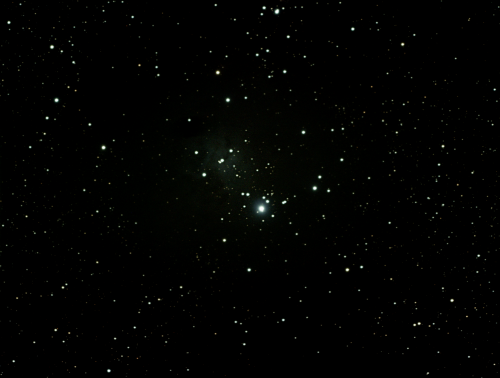 Neither of these have very much imaging time, but even with just 5x 5 minute shots the result isn’t too bad. Here are the galaxies Messier 65, Messier 66, and NCG3628. Leo Triplet. 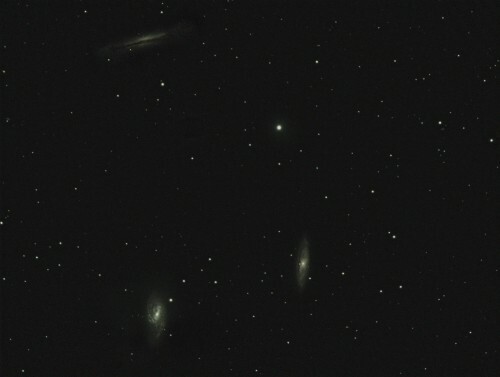 M65, M66, NCG3628. So, from now on I know what not to waste my time on from my house. What’s next!? Nine years ago I bought my first “real” telescope. My experience the year prior with a department store telescope was horrible. Department store telescopes aren’t telescopes. They’re tubes with pretty pictures on their boxes. I knew from looking through observatories and other people’s telescopes that “real” telescopes were amazing. 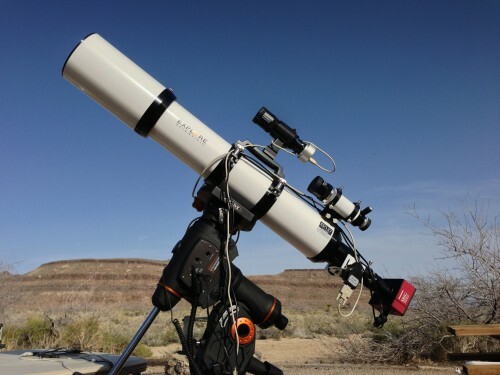 So, nine years ago I plopped down what felt like a huge amount of money to try out a new hobby and bought a Celestron 8″ Schmidt-Cassegrain reflector telescope on Celestron Advanced Series computerized “go-to” mount. Almost immediately, my backyard amateur astronomy turned into backyard astrophotography. I had tons to learn about astrophotography, so I tackled each challenge I found. Before long, I’d ditched my off-axis guider and eyepiece projection camera mount. The off-axis guider had way too small of a field of view when trying to find a guide star with my Meade LPI. I moved on to a piggyback Celestron 80ED refractor I used as a guidescope. After my first prime focus shot through that refractor with a DSLR camera, I was hooked on refractors. My 8″ Schmidt-Cassegrain became my guidescope. In search of better photos and easier setup, I later upgraded to an Orion Starshoot Autoguider with an Orion Mini Guidescope. 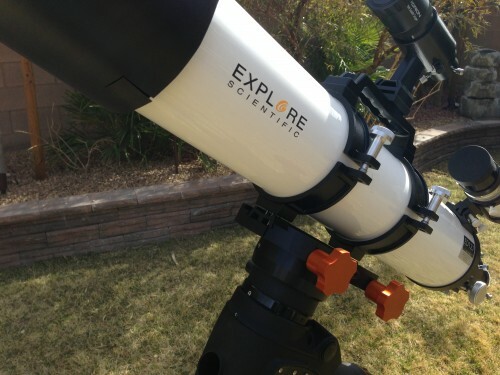 I also sold my original telescope & mount and bought a 5″ Explore Scientific apochromatic refractor along with a much bigger and more stable Celestron CGEM telescope mount. I then ditched my third DSLR in favor of a purpose built astronomy camera, an SBIG STF-8300. The quest goes on. I wish someone had just told me, “do it right the first time and you’ll save tons of money and frustration in the long run.” My current setup takes great photos. The Explore Scientific refractor, when coupled with a Hotech field flattener and the SBIG camera, takes photos I really love. 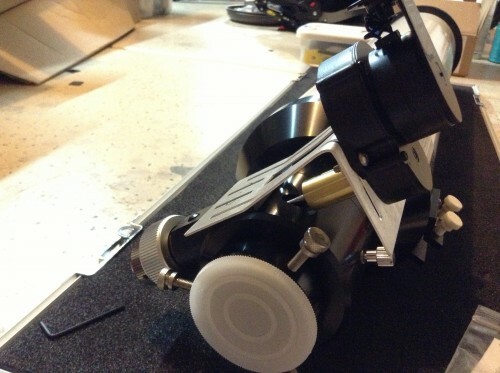 The mount is beefy and accurate enough that I rarely lose an image because of the mount or any other setup issues. My biggest problem now is time. Time is all we have, right? Well, time is something that’s rare for many of us. I work a full time day job and run a software company as my second full time job. My wife & I also have amazing 15 month old twins that we try to spend every waking second with. Spare time is something I don’t have a lot of. I found a way to cheat time. There are several companies that rent time on their telescopes. These companies let you log into a telescope that’s permanently mounted on a dark mountain top in the middle of nowhere. 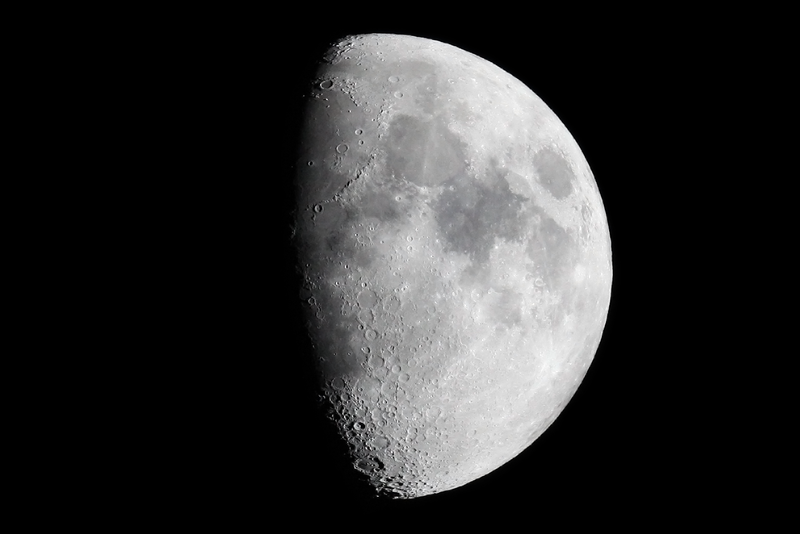 You can pick from a variety of telescopes to match what you’re hoping to photograph. You can then task the telescopes take photos of whatever you’d like. You can watch the telescope’s data real time and see your images being taken. Cloud conditions, seeing, temperature, wind and more are at your fingertips to guide your decisions. All you have to do is choose your scope, choose your target, and decide on the length and number of exposures. At first, I felt dirty – like I was getting away with cheating on a test in school. Planning trips to dark sky sites, setting up camp, fighting the weather, and staying awake all night have become the requisites to getting good astronomy photos for me. However, skipping all those steps and going straight to “take a photo of this” is still very rewarding. I signed up for a free demo membership at iTelescope.net and paid $5 for the “Demo Upgrade” membership. That gave me 70 “points” of imaging on my choice of about half of their scopes. For the scope I chose and days I imaged, those 70 points added up to almost 2 hours of imaging time. I took a few 10 minute exposures of the Flame and Horsehead nebulae. Some clouds rolled in on my second round of images and stopped my progress there. 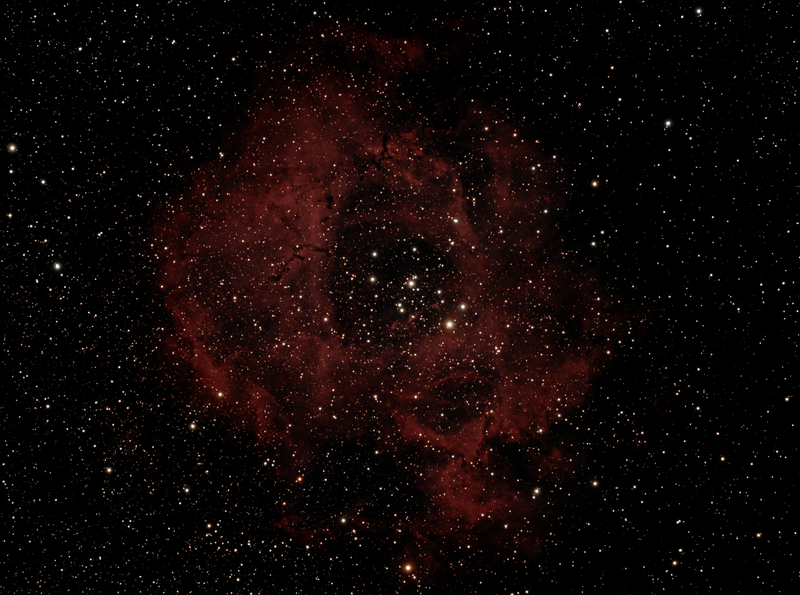 With the moon moving closer towards Orion and the Horsehead Nebula each night, I moved to a great February target further away from the moon, the Rosette Nebula. Whether you’re just getting into astronomy or a seasoned astrophotographer, signing up for a demo account at iTelescope.net is something you really should do. Cough up the extra 5 bucks so you can test drive more scopes and get more time. They have tutorial videos to get you started. If you’ve used a go-to telescope before, you can probably just dive right in and start imaging. If you’re new to the hobby (obsession), sampling a few scopes can really help you learn what you want – and ultimately save you time and money. If you’re completely new to astronomy or astrophotography, it’s worth taking some extra time before taking any long exposure shots to understand some basics about the telescopes and cameras. If you have a Windows PC, I recommend downloading CCDCalc and CCDCalc_Images_V3 to help visualize how big different deep space objects will be in images taken from the different scopes and cameras. There are lots of great books on astrophotography. I recommend “The 100 Best Astrophotography Targets” to help you choose some fun things to image. When it’s time to turn your raw images into final “wow” photos, I recommend picking up Nebulosity to do the heavy lifting. There are free alternatives to Nebulosity, but it’s the best bang for your buck that I’ve found. If you want to keep imaging after you use all the points in your iTelescope.net demo, you have to upgrade one of their membership plans. Considering the days of work and hundreds of dollars I spend on each dark sky camping trip I do with my telescopes, their plan rates are actually exceptionally reasonable. Now I just to have decide which membership to sign up for. Your turn. Go take some photos! I haven’t done any official research, but my guess is amateur astronomy buffs spend most of their astronomy time in their backyards. Home-based astronomy is great because it’s “right there.” It’s easy to set up your telescope and view the planets, moon, and maybe even some darker deep space objects like galaxies and nebulae. One of the bad parts about backyard astronomy is light pollution. 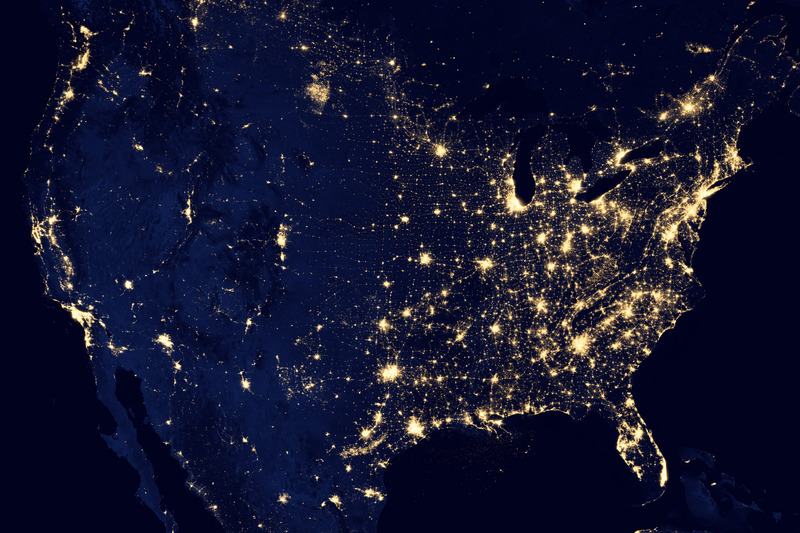 NASA recently published images of the entire world’s “light map” taken at night from space. 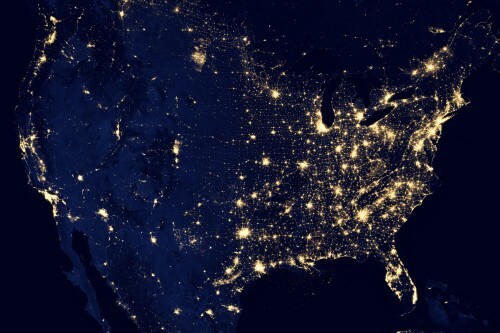 If you live in the US, odds are you live in one of the bright areas of the image below. In general, those bright spots are concentrations of people. For some crazy reason, people like things like street lights. Those street lights wreck havoc on the darkness of the night sky. When I was young, we lived outside town far enough that I spent many mornings admiring the stars while waiting for the school bus. I used to imagine what each star was like and wondered if anyone else was out there. In many cities, only a few stars are ever visible to the naked eye. That definitely makes it tough to be inspired by the night sky. Just recently, my neighborhood replaced all of the halogen street lights with LEDs. Their goal was to save money on electricity. A great side benefit was the light pollution near my home dropped quite a bit. I still have the glowing fireball of Las Vegas to the north of my home, but the skies are fairly dark to the south. I have to admit that, despite living in my home for over 3 years, I’ve never done any astrophotography from my backyard. I assumed that because I lived in a big town, it wouldn’t be worth the effort. Turns out, I was wrong. Two nights ago I dragged out the telescope, cameras, laptop, tables, power cords, and piles of USB cables. I did a quick polar alignment using my Celestron CGEM’s built-in polar star alignment routine. I centered the scope on the Orion Nebula and started shooting photos. The skies were dark enough that my camera was able to capture up to 5 minute exposures without being too blown out from the light pollution. 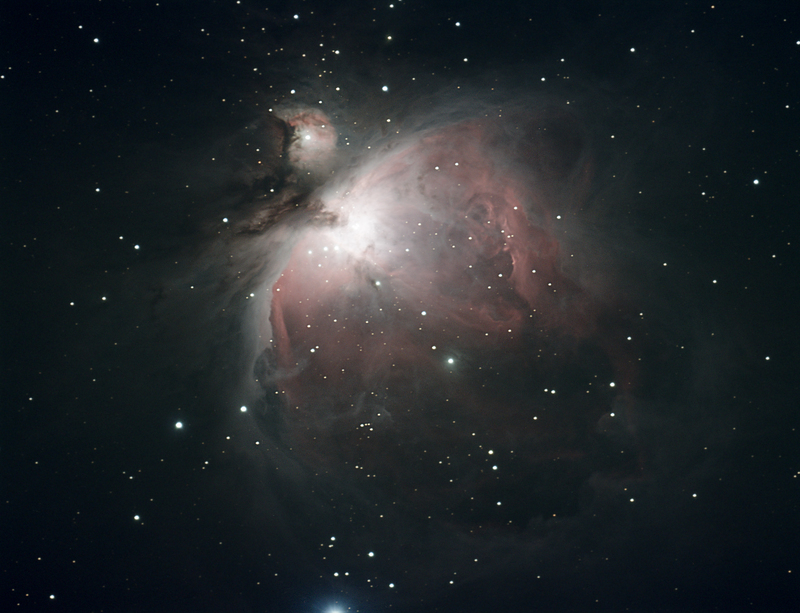 Over a couple hours, I took a total of 25 shots of the Orion Nebula ranging from 30 seconds to 5 minutes each. I crunched all the data yesterday and ended up with a backyard astrophoto that I’m happy with. Here’s the result (click on the photo to see the full sized version). M42 photo details: Explore Scientific ED127, Celestron CGEM, SBIG STF-8300C, 5×300 sec, 10×30 sec, 5x60sec, processed in Nebulosity & Photoshop. Imaging and processing by Bryan Duke. So, what do you think? I think you should go outside and look at the stars. Find Orion. It’s just south of “straight up” at about 8pm. Try to find the Orion Nebula. It’s the jewel in Orion’s sword. There it is. Congrats to the team who got Curiosity this far. 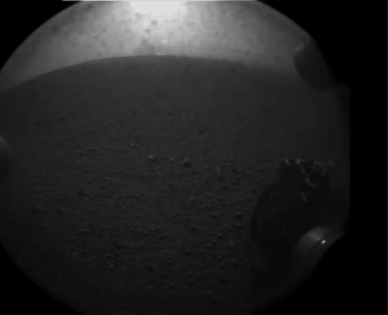 Here’s the first image from Curiosity. Taken just minutes after touching down on Mars. 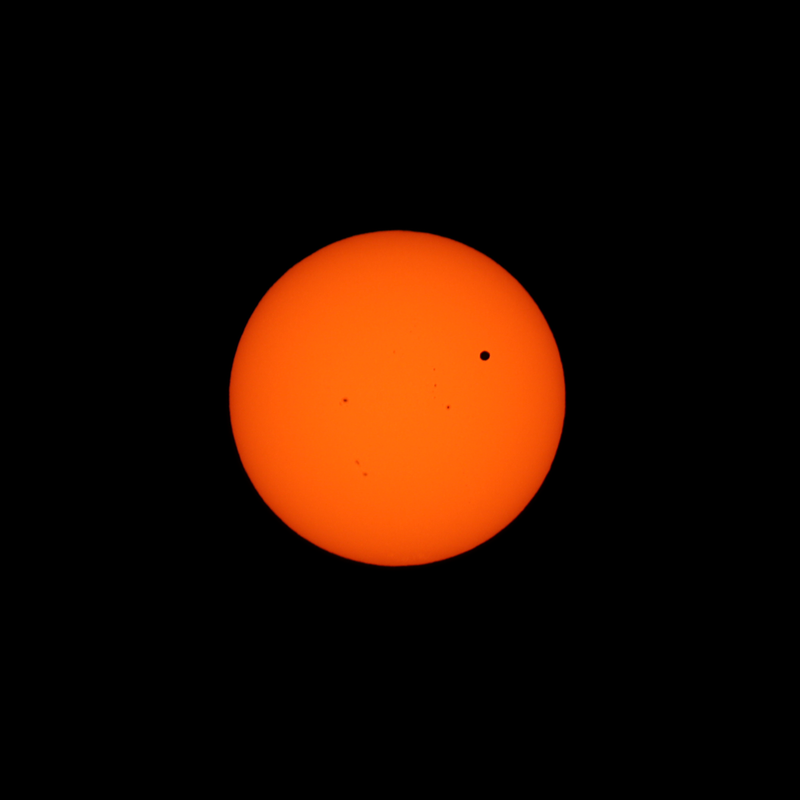 Venus is currently transiting the sun. This will be the last time until 2117. Here are some shots of the transit sized to 2048×2048 pixels. Enjoy!